The Centers for Disease Control estimates that approximately 20 percent of US adults use herbal supplements, such as flaxseed. Scientific evidence proving they are effective is scant and often inconclusive. However, many people who take herbal supplements claim that their symptoms improve and they do not develop side effects. However, before using herbal products, first discuss it with your doctor as harmful effects may result, particularly if herbs are taken in the wrong amounts or are combined with other medicines. Flaxseed, or linseed, is the seed from the flax plant and is available in both seed and powder forms. Flaxseed is a source of fiber and omega-3 fatty acids. The seed can also be dissolved in water or juice when crushed to powder form. Flaxseed doses of 5 to 50g per day have been used in scientific studies. Raw or unripe flaxseed should not be consumed as it may be poisonous. Flaxseed, most frequently used as a laxative, is also used for conditions such as high cholesterol, menopause, and breast cancer, among others. Flaxseed lowers cholesterol by decreasing cholesterol absorption in the intestine. It may also have beneficial effects on platelets, which cause blood vessel clotting. Flaxseed may be helpful during menopause and benefit certain cancers that need estrogen to grow, such as breast cancer, because the body converts flaxseed into substances called lignans, which interfere with natural estrogen. Flaxseed is possibly effective for reducing hemoglobin A1c levels, which is the indicator of blood sugar levels in diabetics, decreasing cholesterol levels, improving kidney dysfunction in systemic lupus erythematosus, and alleviating minor menopausal symptoms. According to NCCAM, studies are currently underway to evaluate the benefits of flaxseed for preventing or treating atherosclerosis, breast cancer, and ovarian cysts. Flaxseed is usually very well tolerated, but it can cause some stomach problems so it should be taken with a lot of water. 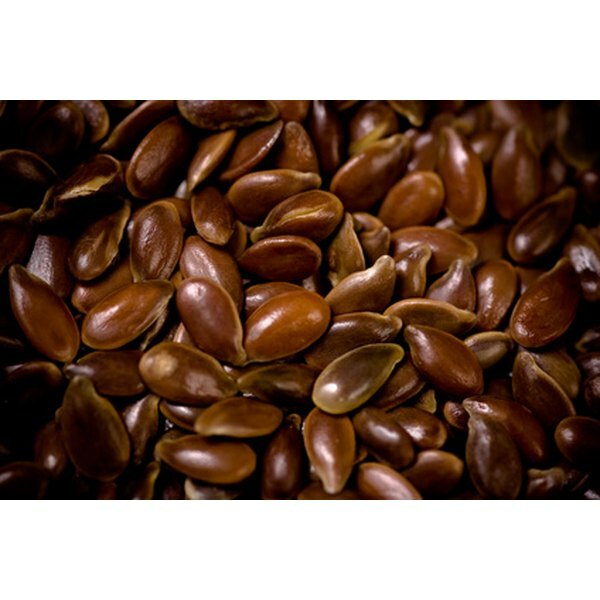 According to the NIH, alpha-linoleic acid from flaxseed may raise triglyceride levels; thus, flaxseed should not be taken if triglyceride levels are elevated. Also, because of flaxseed’s estrogen-like effects, it may worsen estrogen-sensitive problems such as cancer of the breast, uterus, or ovaries; endometriosis; and uterine fibroids. Flaxseed should also not be taken if bleeding problems exist. Can Flaxseeds Make You Sick?